I came across this title in a pile of books that were being donated to the nether world. I saw the beautiful book & recognized the author, so I snapped it up. This title, as it turns out, is a classic title in the Plymouth Brethren assemblies. I grew up hearing these arguments & ideas propagated & reinforced. In fact, most lay persons in the assemblies will be just as familiar with this title as I was--despite never actually reading it. I give this book 2 of 5 stars for technical merit. Mackintosh tends to recycle the same arguments from one chapter to the next. I suspect, however, (though I have not been able to confirm) that these chapters were originally composed as pamphlets that were intended to stand alone & circulate. This would explain the overlap in arguments & redundancy in explanation. This would also be consistent with historical trends in Restorationist (The Plymouth Brethren fall into this historical time-period) literature. The author also followed the trend of the day with regard to his style. There is no flowery language (aside from the Elizabethan English: thee & thou) in this text. As a direct consequence, Mackintosh does not use illustration to back his points. While he certainly does not need to illustrate in order to get his point across, it is a technical tool that could have been used to clarify & drive his points home. 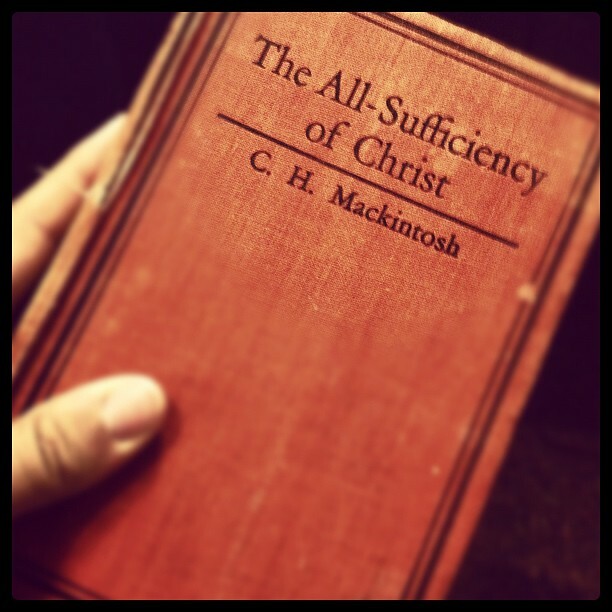 The main point of this book/collection is that the believer needs only Christ. 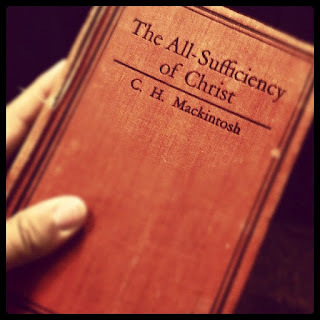 As such, Mackintosh argues for the highest Christology possible. Since Christ is all-sufficient, we need not hearken to the traditions of: men, religion or higher criticism, only Christ as revealed in scripture. A high Christology is central to Christianity. If Christ was anything other than God incarnate, we have no hope at all. The largest claim this work has to fame is the argument for the believer's salvation from the Penalty of Sin, the Power of Sin & (ultimately) the Presence of Sin. Therefore, the true believer stands justly before God through the atoning work of Christ. They are no longer subject to the Romans 3.23 "wages of sin." In addition, they are freed from the compulsion to sin: "the believer need not sin." Victory can be found in Christ. Ultimately, the believer will be redeemed from this corruptible world & saved from the very presence of sin. This hermeneutic, taken as a whole, combats both Pelagianism & Antinomianism. A fascinating point made in the work refers to the importance of the Resurrection as it relates to the atonement. When Christ took on Sin (the noun, not the verb) while dying on the cross, His work is sufficient for all generations. All my sins were in the future from Calvary, yet they were all present from God's perspective (since God is outside of time). Further, the Lord Jesus is seated on the right hand of God. We know that nothing that is marked with Sin can enter God's presence. This can only mean that Christ, who became Sin for us dealt with it so thoroughly that it has been eradicated. Sin is a non-issue for the Divine. We need only rest on His finished work & reap the benefits of Jesus' sacrifice. I heartily recommend this book to any seasoned Christian. Some elements in the work may be slightly misleading & condemnatory, which may lead novices to erroneous conclusions. While a hard copy may be elusive, digital copies are readily available.